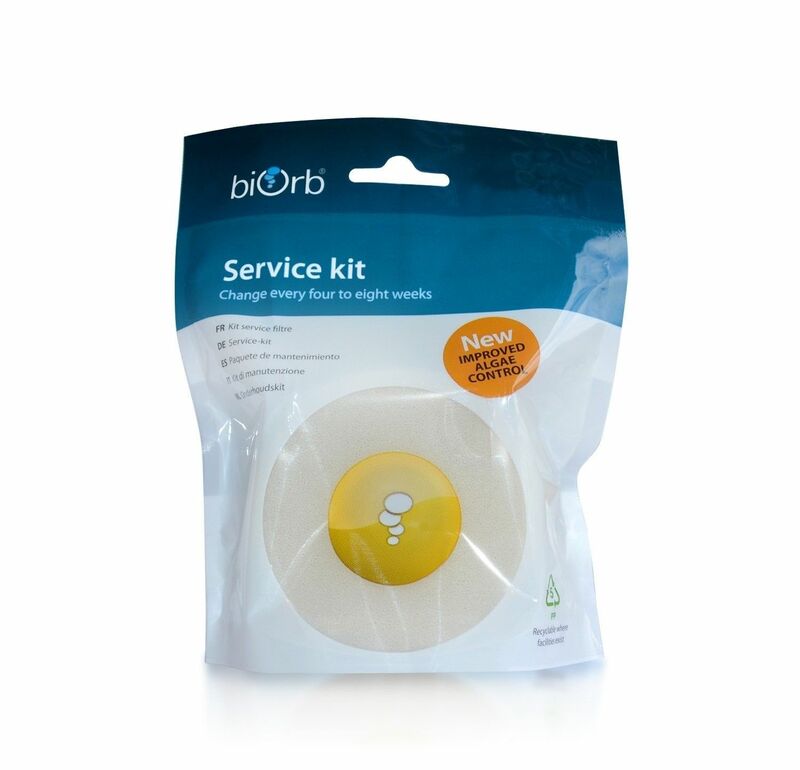 The Biorb Service Kit is the filter for all biorb and biube aquariums. It should be replaced every 1-2 months. The Biorb Service Kit works like a waste bin, trapping dirt and impurities, once your Biorb filter is full it should be thrown away and replaced with a new one. This should be done every 1-2 months depending on the size of the aquarium and the number of fish in your BiOrb or BiUbe. A natural substrate in the cartridge polishes the water and removes impurities helping to keep the water clear between changes, and it has an active life of 8 weeks. To install your BiOrb Service Kit simply unclip the old cartridge and fit a new one every 4-8 weeks, just like taking out the garbage. The BiOrb Service Kit eliminates the need to cut filter foam, deal with messy carbon, and measure out doses of water treatment.